Visit some of Uganda’s finest natural spaces, where you’ll encounter wildlife including gorillas, chimps, lions, rhinos and a host of birds. The Wildlife Spectacular Safari allows time to really explore each fascinating place. This really is a spectacular wildlife safari! You’ll visit some of Uganda’s finest national parks and nature locations. And because you’ll spend enough time in each place, you’ll discover what it truly has to offer. Expect some very special wildlife experiences, including rhino and gorilla tracking and joining the lion researchers. Uganda boasts well over 1,000 bird species, too – paradise for birders – and there will be lots of chances to spot some of them. In addition, there is an opportunity to meet the Karamojong people and explore their fascinating culture – a rare privilege. Permits are required to track gorillas. The minimum ages is 15 years. Gorilla permits are limited to eight people per gorilla family. Permits are also required to track chimps and the minimum age is 12 years. Please read the information about primate tracking on our primates web page and remember to look at our suggested packing list. On arrival at Entebbe International Airport, you will be met by your guide who will take you to your hotel to relax. 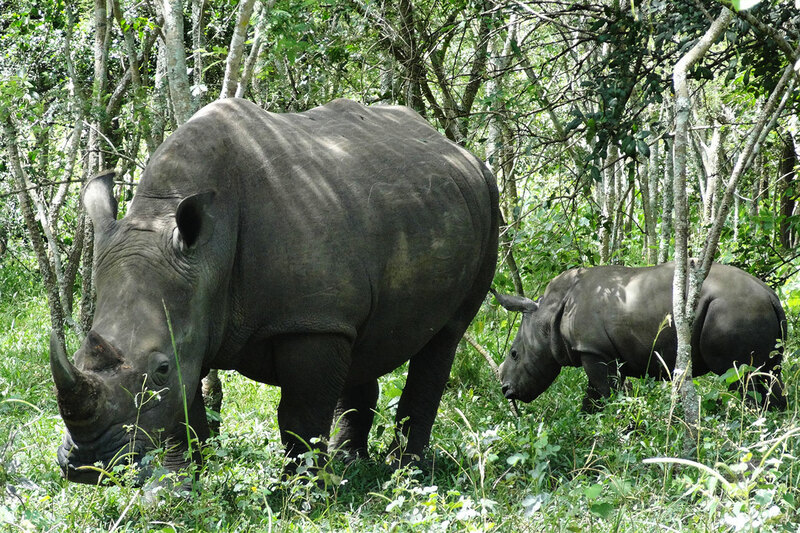 Drive to Ziwa Rhino Sanctuary where you will track the southern white rhino and learn about the sanctuary's conservation activities. 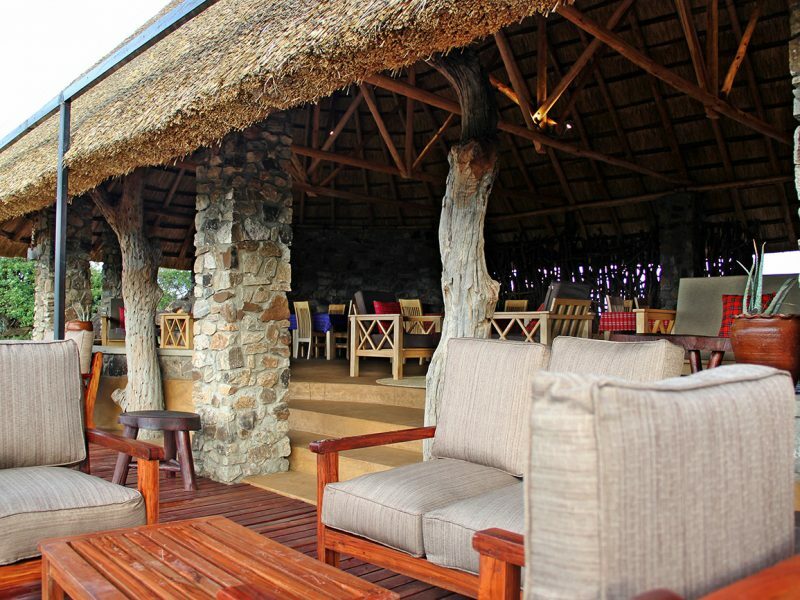 Then enjoy a night in the bush at the excellent lodge. Enjoy a scenic 4 hour drive to the park. Cross the River Nile onto the north bank and continue to your lodge in the heart of the park, enjoying the wildlife along the way. Enjoy a game drive in the park to spot wildlife including elephants, giraffes and buffalo. 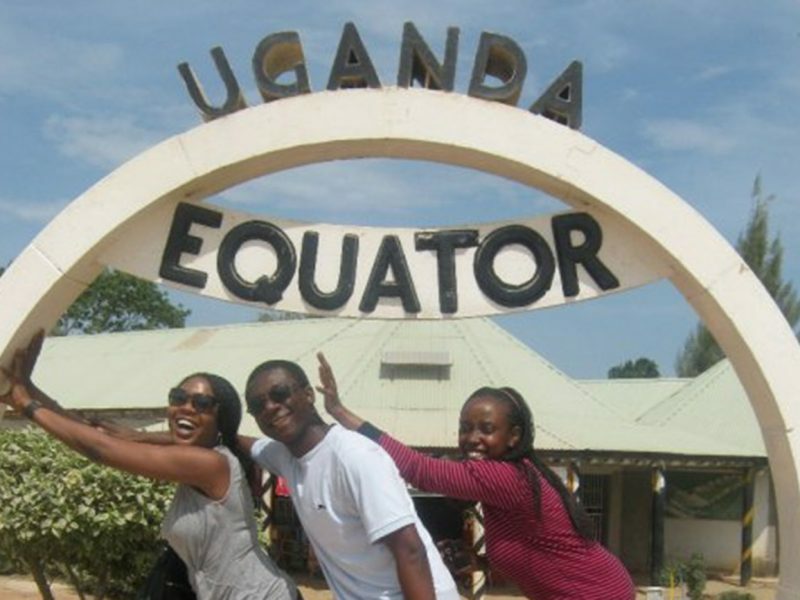 After lunch, relax and enjoy a 3-hour boat cruise along the Nile to the falls, seeing the animals and birds along the river banks as you go. Alight at the falls and hike to the top (45 mins) for spectacular views over the falls and across the park. Take a last short game drive in Murchison Falls National Park and, after lunch, transfer to Gulu, around 2-3 hours away. Drive to Kidepo in northern Uganda. On arrival, if time allows, take a late afternoon game drive around the plains exploring the country’s most remote National Park. 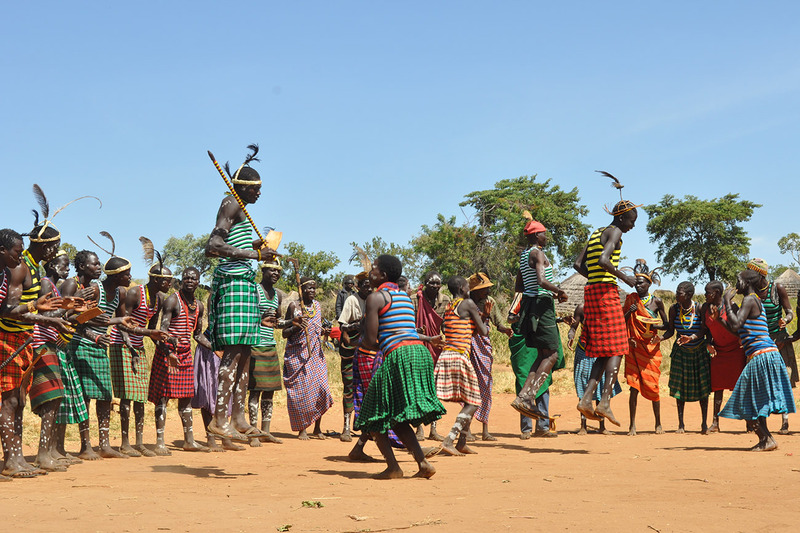 Spend some time visiting a Karamojong village and learning about this fascinating culture, before enjoying the huge variety of wildlife and game that dwell in this true African wilderness. 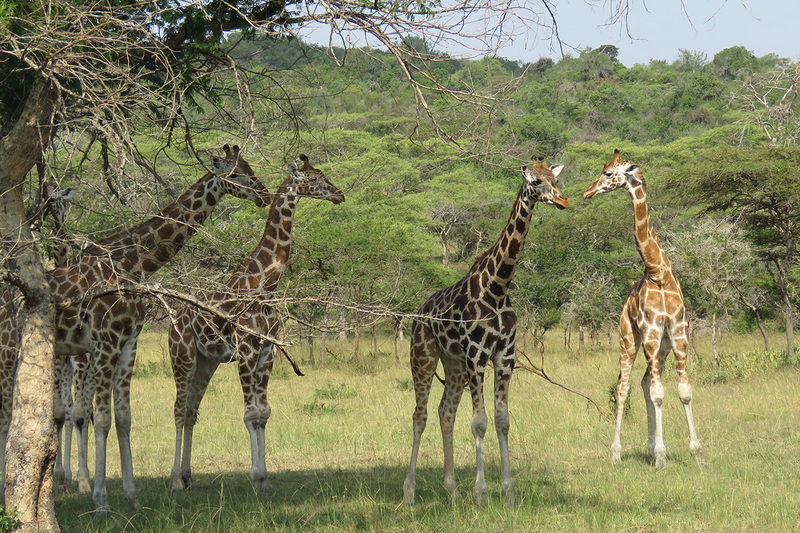 On your last morning in Kidepo, take a guided nature walk to experience the wildlife from a different vantage point. 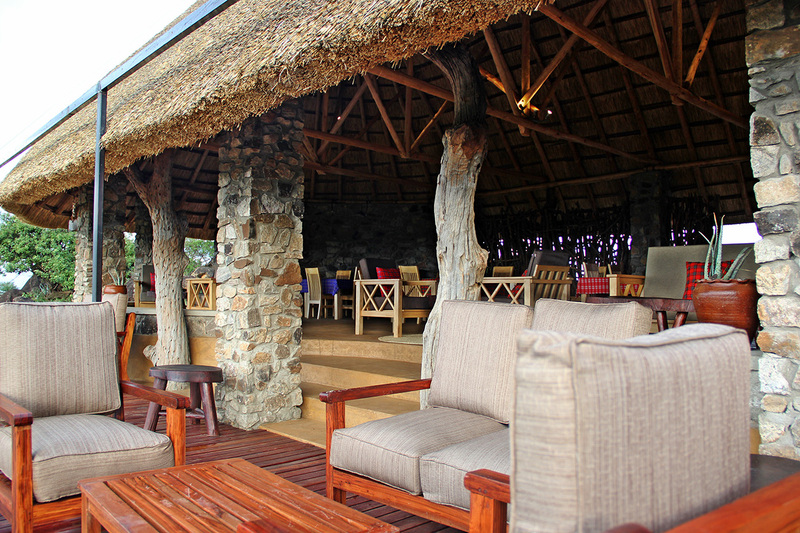 Lodge staff will take you to the airstrip. A domestic flight enables you to enjoy stunning aerial views of the Ugandan countryside as you journey back to Entebbe, where hotel staff will collect you from the airport. A 5 hour drive westwards, with a stop in Fort Portal for lunch, will take you to Kibale. Visit a community wetlands conservation project to see primates and birds. 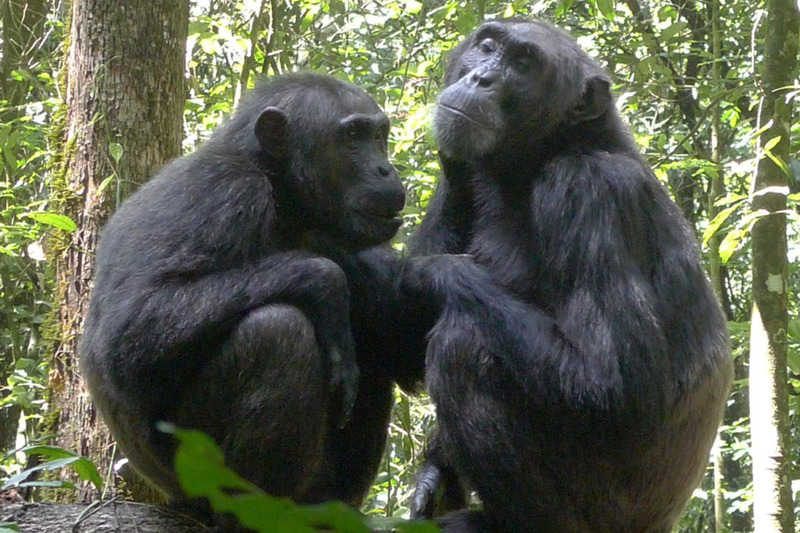 What better way to start the day than with chimp tracking? After an early briefing, your guide will lead you into the tropical rainforest; once you have found the chimps, you will spend an hour with them as they go about their daily activities in their beautiful natural habitat. 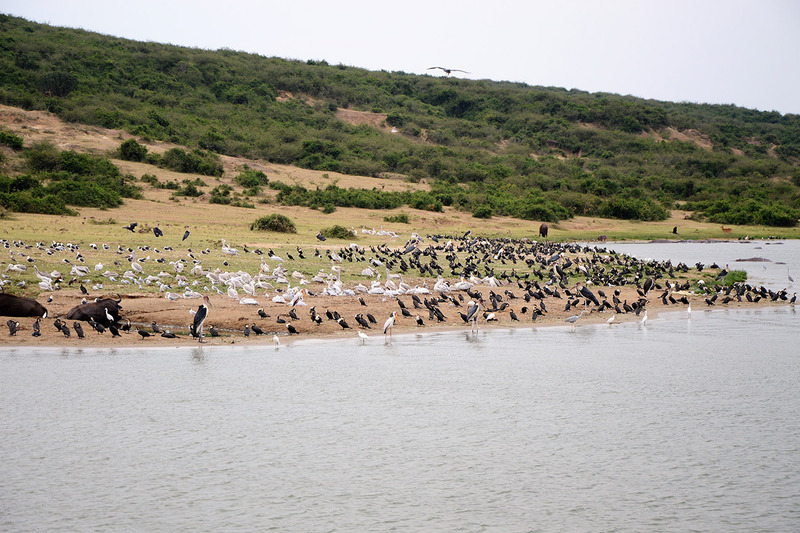 You will then drive through the breath-taking crater lakes region towards Queen Elizabeth National Park. Set out early to join researchers for a fascinating lion research experience. 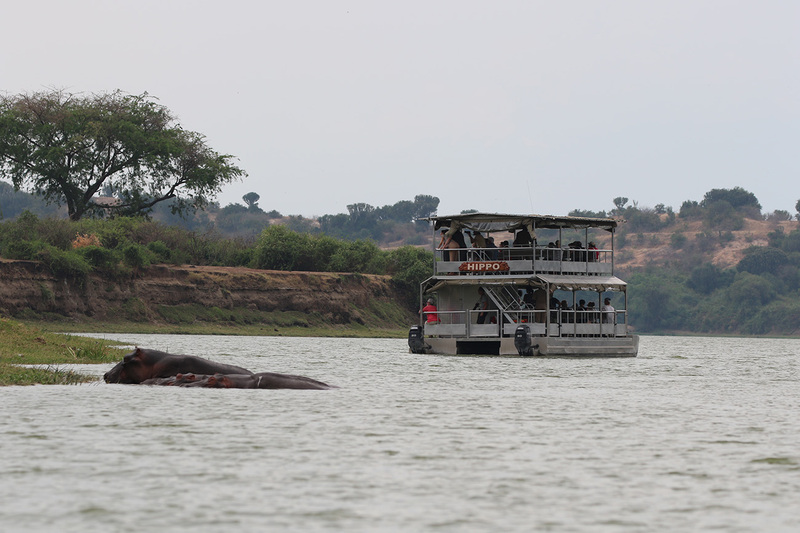 After lunch, enjoy a relaxing boat ride to see the rich wildlife along the Kazinga Channel, which include hippos, crocodiles and a wealth of Ugandan birds. As you head south, take one final game drive around Ishasha in search of tree-climbing lions and large herds of antelope. Continue though the Ugandan countryside to Bwindi Impenetrable National Park. An exciting day lies ahead as you join your group for a briefing before tracking through the forest to find a family of gorillas. When you find them, you will enjoy a magical hour, watching them in their natural habitat. 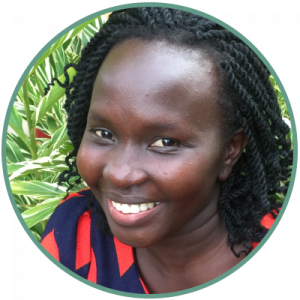 There is more to see in Bwindi so enjoy some amazing bird watching and a village walk to see how tourism is supporting the community to value and protect the gorillas. 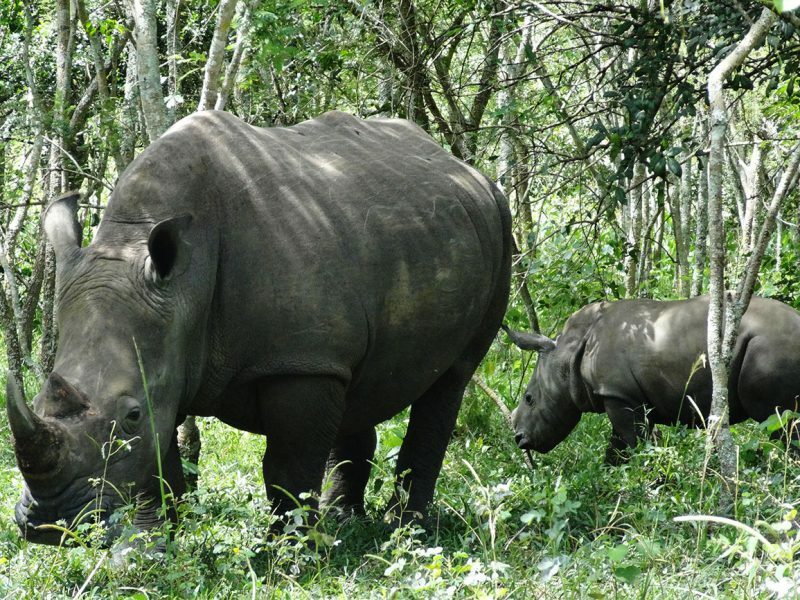 A scenic 4 to 5 hour drive takes you through this beautiful and atmospheric part of the Ugandan countryside to Lake Mburo National Park, where you will enjoy a game drive on arrival. 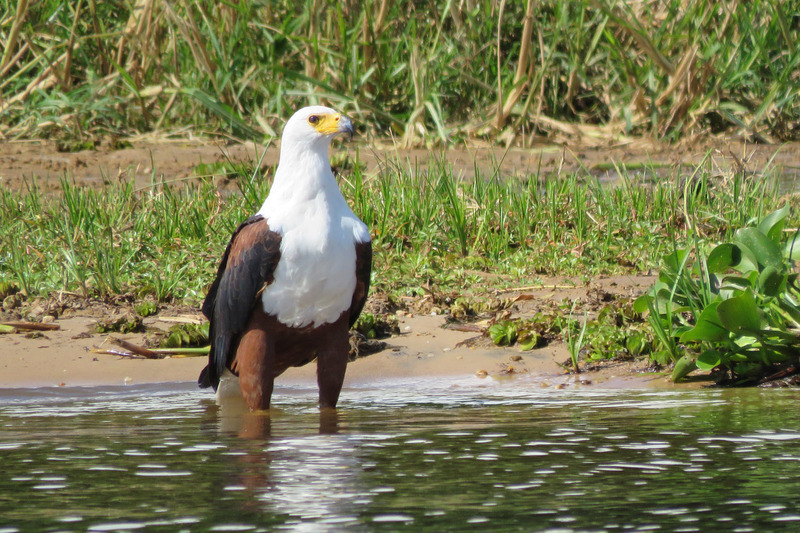 This action packed day starts with a guided nature walk, followed by a boat ride to see the hippos, crocodiles and birds, including the African Fish Eagle, African Finfoot and perhaps the sought after Shining Blue Kingfisher. Later, you’ll enjoy an evening game drive in search of elusive animals such as the aardvark, pangolin, honey badger and more. 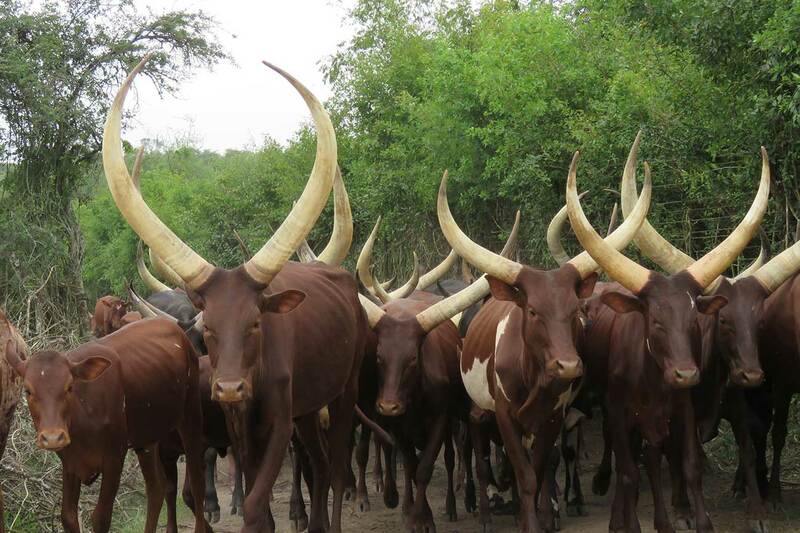 Spend the day with the tribal cattle keepers in the bush bordering the park and learn about their fascinating culture and pastoral way of life. You will visit the calves and the milk processing room where wooden milk pots are smoked and milk is turned to ghee. 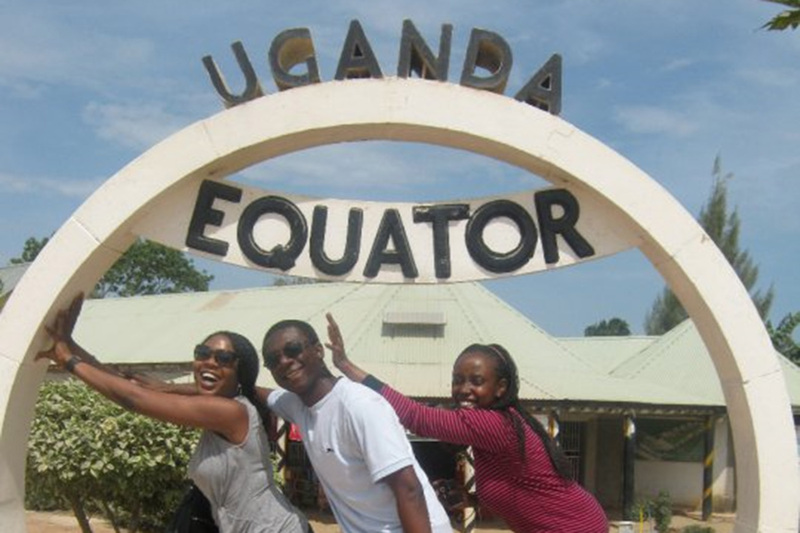 The 5-6 hour drive back to Entebbe enables you to take in a range of Ugandan scenery and stop at the equator en route. Back in Entebbe, you can take a walk at the beautiful botanical gardens in the late afternoon to relax, enjoy great views of the lake and the rich array of tree species and spot monkeys and birds. Spend the morning relaxing on the water in a local fishing boat looking for birds including the famous and iconic Shoebill. The afternoon is free to unwind and ensure you go home refreshed. Your guide will then transfer you to the airport for your flight home. Meal plan: B, L Please note: all timings and routings are approximate and subject to change at short notice.